Most of the handwriting debate features folks arguing about whether cursive writing should be taught in school. A more recent version of the debate focuses on the use of keyboards versus pens and pencils as the writing tool of choice. Both debates are great for helping clarify what we value in schools. For example, if we wish to honor tradition, we might advocate for teaching cursive. If we think the keyboard speeds up the act of writing and increases the time available for thinking, we may want laptops in every classroom. Keep in mind that we know technology is here to stay and that technology can be a huge asset for learners at any age. The important thing to consider, as is so often the case, is how the tools are being used. According to a 2009 University of Washington study, elementary school students who wrote essays with a pen not only wrote more than their keyboard-tapping peers, but they also wrote faster and in more complete sentences. A UCLA study found students learn better when they take notes by hand than when they type on a keyboard. 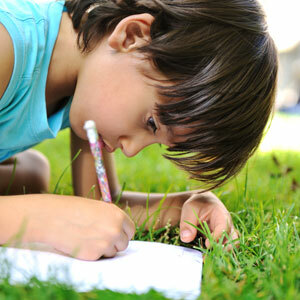 A study in Paris discovered that children not only learn to read more quickly when they first learn to write by hand, but they also remain better able to generate ideas and retain information. There are many other writing by hand advocates who tout the artistic and creative benefits that result from crafting the letters on paper rather than choosing them from a keyboard. Write by hand if it suits you. Use a keyboard if it helps you. But please write. Everyday.